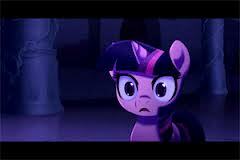 Twilight and Rule 34. yea... another. Wallpaper and background images in the my little pony friendship is magic club. This my little pony friendship is magic photo contains penerima televisi, televisi, tv, tv set, kotak idiot, tabung payudara, and kotak goggle. There might also be tanda, poster, teks, and papan tulis.